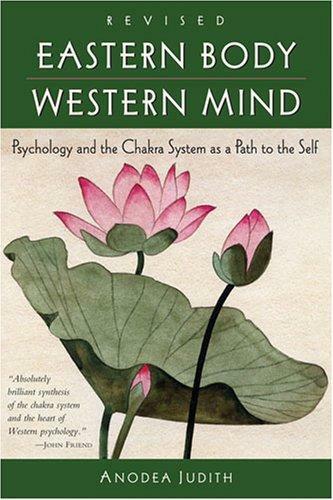 This cutting-edge work on the chakra system explains Eastern theory by way of Western psychology. As archetypal concepts, chakras are centres of activity that receive, assimilate, and express life force energy. Judith shows how to use the chakra system as a tool for modern diagnosis and healing, using the inherent structure of the chakra system as a map upon which to chart our Western understanding of individual development. An extensive chapter is devoted to each of the seven chakras, describing their corresponding areas of psychological health: Survival, Sexuality, Power, Love, Communication, Intuition, and Cognition. Opening with an examination of the cultural conditions that impact our functioning, each chapter focuses on a single chakra, starting with a description of its characteristics, then exploring its particular childhood developmental patterns, traumas and abuses, and how to heal and maintain balance. We build a temple to the gods by creating, clearing, and restoring each of the chambers of the chakras. Only when we have built a foundation and reclaimed our life force from the ground up are we truly able to handle the manifestations of divine consciousness. How fully we can bring forth divinity depends on how thoroughly we develop the seven chambers inside. Once we open to the gods, our job is then to bring them forward through our own sacred living and enhance the journey for others. Only by going on the journey ourselves, can we guide others. Thus, the journey across the Rainbow Bridge becomes a sacred quest for the evolution of humanity. Anodea Judith has also written Wheels of Life and The Illuminated Chakras (DVD). In EASTERN BODY, WESTERN MIND, chakra authority Anodea Judith brought a fresh approach to the yoga-based Eastern chakra system, adapting it to the Western framework of Jungian psychology, somatic therapy, childhood developmental theory, and metaphysics. This groundbreaking work in transpersonal psychology has been revised and redesigned for a more accessible presentation. Arranged schematically, the book uses the inherent structure of the chakra system as a map upon which to chart our Western understanding of individual development. Each chapter focuses on a single chakra, starting with a description of its characteristics, then exploring its particular childhood developmental patterns, traumas and abuses, and how to heal and maintain balance. Illuminated with personal anecdotes and case studies, EASTERN BODY, WESTERN MIND seamlessly merges the East and West, science and philosophy, and psychology and spirituality into a compelling interpretation of the chakra system and its relevance for Westerners today. The renowned authority on yoga-based Eastern chakra has revised her groundbreaking work to this more accessible presentation that seamlessly integrates Western psychology and the Eastern chakra system. Includes a new Introduction by the author.